Some 27,600 plug-in units were registered last month in the USA, up just 5% YoY, with the PEV Share reaching 1.8%, above the 1.6% of 12 months ago. This growth softening has to do with Tesla focusing the Model 3 deliveries in overseas markets, with the numbers of the leading nameplate influencing the general behavior of this Tesla-addicted PEV market. Speaking of Tesla, while the Model 3 keeps on growing, its older siblings, the Model S (2.275 deliveries, down 33% YoY) and Model X (2.175, down 23%) are suffering, although it's not as bad as in overseas markets, where sales are down to less than half. The refresh is a real necessity now. Looking elsewhere, the Chevrolet Bolt returned to the 2nd Place, thanks to 2.166 units, while the Toyota Prius Prime recovered from the Honda Clarity PHEV the status of Best Selling PHEV. In a numb stable market, there are a couple of performances that deserve a mention, the VW e-Golf had its best result since 2015, with 581 registrations, allowing it to jump six positions, to #14, while the Mitsubishi Outlander PHEV climbed three spots, to #15. Why the Japanese SUV is not in a Top 10 position is beyond me, maybe Mitsu finds it more profitable to sell in in Europe? Looking at the manufacturers ranking, Tesla is now responsible for 49% of the market (+2%), while Chevrolet (11%, +1%) hangs on to Second Place, with Toyota (7%) in the last place of the podium, ahead of Honda (6%, down 1%) and BMW (5%). 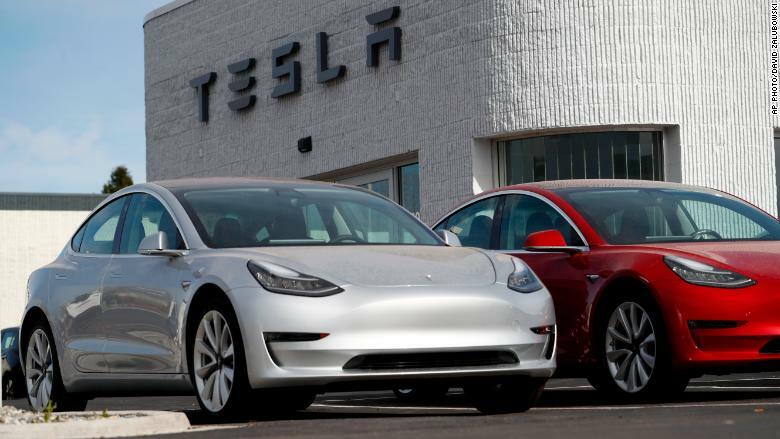 With the Tesla Model 3 selling at a slower pace, the category best sellers gained a significant advantage, leaving the Tesla midsizer only in #7, but despite this, the Californian still has the Premium midsize segment Best Seller title in the bag, as its closest competitor, the Mercedes C-Class is well behind it, with 15,002 sales. So the Model 3 will need the new, cheaper, SR versions to reach the Camry & Co sales pace. Looking at the large premium car category, the Tesla Model S is suffering from the cannibalization effect of the Model 3, having seen its sales drop 33% YoY, falling from the usual 3rd spot to 4th. Sales may only return to normal levels, once the anticipated refresh finally lands. Tesla sales and production are significantly down versus last quarter. In my view, the market for premium EV is saturated, the wow effect is over. 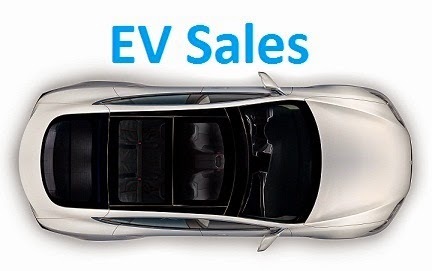 What counts now is that EV become more efficient and reliable and much cheaper. Especially much better akkus are necessary. Tesla has zero presence in a lot of overseas markets. Nobody know how to buy tesla or where to go for test drive or how tesla is looks like. A lot of place to grow S/X/3 sales here. And a lot of place to make brand recognizable. However, by going to exclusive online sales, Tesla is doing nothing to change this situation. Tesla just entered in an emission pool with Fiat Chrysler for cash. This allows Fiat to meet European emission legislation in 2021. However, Tesla became with this move a much overvalued ordinary car company.